It's the War of 1812, and the Americans are attacking British territories. The North West Company is enlisting all able-bodied voyageurs to help defend the business of the fur trade. 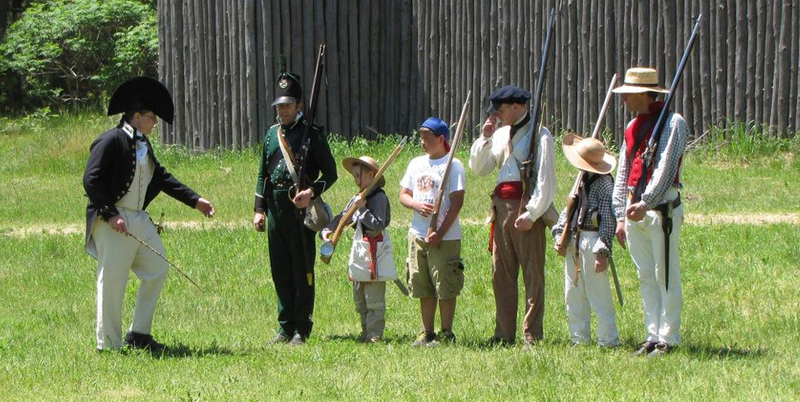 Join in musket drills, march in formation, and make a militia hat to show your support.